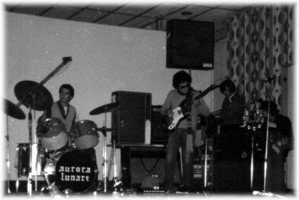 Aurora Lunare was formed in 1978 in the outskirts of the city of Livorno by a group of friends with a common passion for Pop music (the term “Progressive” did not exist then) that they had been listening to for years; above all, the EL&P and Yes among the foreign bands and the PFM, Banco, Le Orme, Area among the Italian ones, in whose covers the group initially ventured. Later came the need to build something of their own that could fit into a type of expression that, even in those days, was not easy to approach. At the time it was called Pop-Rock or Rock-Symphonic (a genre that later on musicologists termed Progressive Rock), but they did not care so much about wearing a label as about taking up a research for a new musical path, in the footsteps of the famous bands of a few years earlier. Basically, one can distinguish two phases: an initial very intense one (1978-80) where, after a period of apprenticeship, the band developed a decidedly Progressive music genre (even with some avant-guard touches) and a subsequent one (1981-90), with a more rarefied activity, where technique and timbre improved significantly though the genre began to suffer a bit from the decadent influences of the 80s. Unfortunately, no discography was produced despite the fact that, after several attempts, the goal seemed about to be reached. There are, however, some old amateur recordings subsequently submitted to a restoration work and transferred onto digital media not to lose the historical memory. 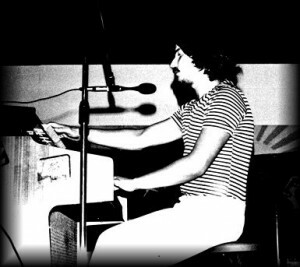 The main authors of the songs were Luciano Tonetti and Mauro Pini: the former especially for the music and lyrics composed in the first period, the latter for those of the later years. However, one must also remember Corrado Pezzini for the arrangements and Marco Santinelli (architect of the 2007 reunion) for the rhythmics of the early years.